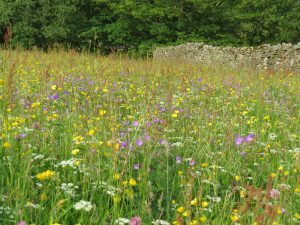 Muker Meadows – the jewel in the Yorkshire Dales crown. 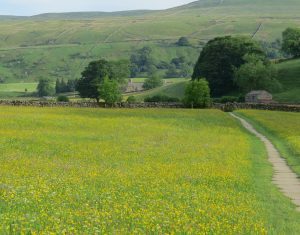 Muker meadows have cornonation status and during June it is easy to see why. 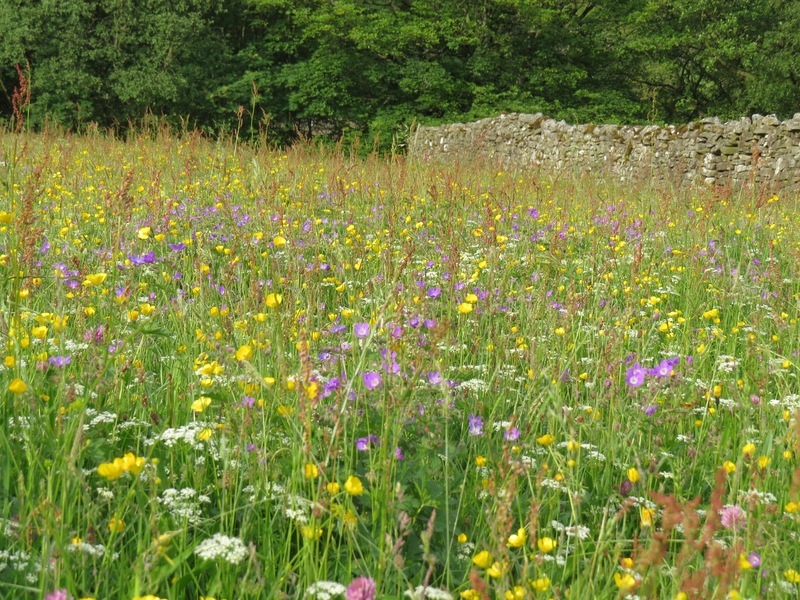 Prince Charles awarded coronation status to these special meadows to mark the 60th anniversary of the Queen’s coronation. 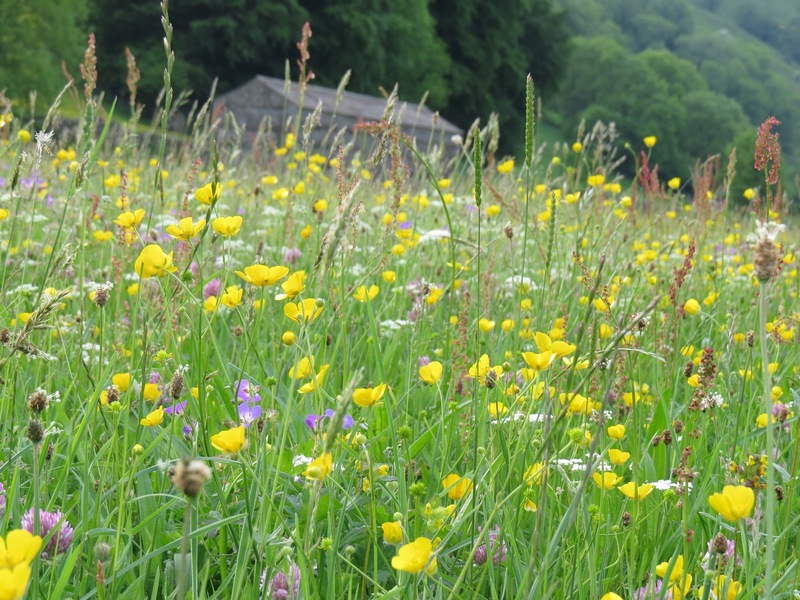 The abundance of wildflowers & grasses and the variety of species present a paintbox of colour. A flagged footpath allows for close up observation of the meadow flowers; yellow rattle, buttercup, clover, eyebright, ladies mantle, rough hawksbit but it is the swathes of purple wood cranes-bill against delicate, lacy pignut that gives life to the artist’s palate. Each tiny field is seperated by dry stone walls and most have a small stone building called a cow house (pronounced cowus). Once the meadow is cut and made into hay, it is stored in part of the cowus called the hay mew.